Most of us can get by just fine a computer that has been discontinued, as its computing power typically far exceeds the needs of most owners. With computers, things will always get faster and less costly. Paying for power not needed is a waste of money. Long-time RainyDayMagazine readers know that we only upgrade our hardware (Pismo, 12″ MBP, 15″MBP) and software when we absolutely must. When we do upgrade, we feel the most value for the dollar is to purchase the oldest hardware which will satisfy our immediate needs. A few weeks ago, Apple released iBooks Author. 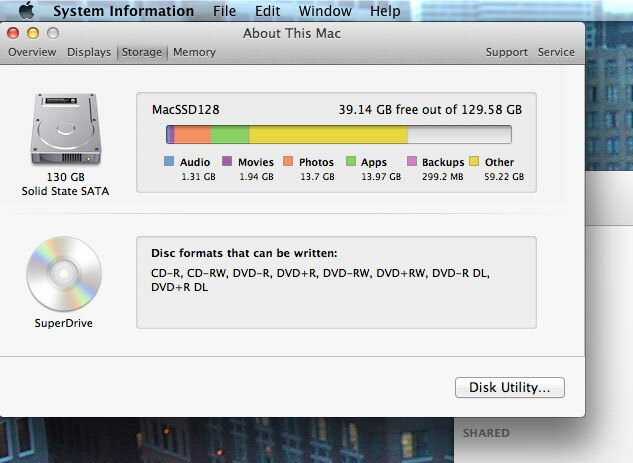 While the software is free, it does require a 64-bit Mac and the latest OS X 10.7 (Lion) to run. The “newest” Mac we have in-house is the 15″ 32-bit Core Duo laptop. We upgraded to that MacBook Pro (MBP) in 2009 because the iPhone SDK requires an Intel processor and so would not run on our PowerPC-based 12″ MBP. iBooks Author is compelling us to once again bite the bullet and upgrade to a newer model, one with a Core 2 Duo 64-bit processor. The oldest (and hence least expensive) MBP with that type of processor is from late 2006. However, after a bit of research, the 2008 MBPs with its ability to handle more RAM (up to 6GB) appeared to be a better value. We debated whether to get a 15″ or a 17″ MBP. The 17″ MBP has a higher resolution (1680×1050) screen, more ports (3 USB), and generally better specs. However, it is physically bigger and does weigh close to 7lbs. As we mostly take the iPad instead of the laptop with us when we travel, size and weight were not factors in our purchase decision. After a bit of Craigslist-ing, we snagged ourselves a “new-to-us” 17″ 2.4 GHz Macbook Pro for about the same price we paid for the 15″ MBP a few years ago. Once we get everything transferred over, we should be able to sell the 15″ MBP and recover most of the cost of this hardware upgrade. The cash saved by buying a used laptop can be used to improve its performance. The biggest bang for the buck is to max out the RAM. While the 17″ MBP is spec’ed to handle 4GB of memory, it can actually be loaded with up to 6 GB (2GB, 4GB) of RAM. 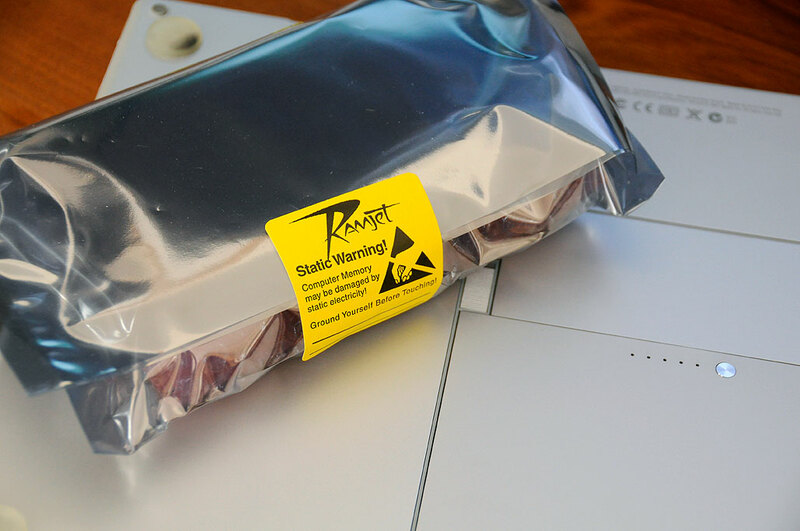 We got our 6GB memory upgrade kit from RamJet. They have a large inventory of RAM for all kinds of computers, they ship the same day, and offer a lifetime warranty on the parts. They will even give you credit for the old memory. You really can’t do any better than that! Upgrading the MBP’s RAM is a 10 minute DIY task. We have done a few of them in the past (Pismo, 12″ MBP, 15″ MBP) and the 17″ MBP memory upgrade was no different. A quick check after the upgrade showed everything was working as expected. BTW, we like the Lion’s info panel which shows both the amount and the location of the modules. Having had an SSD in our 15″ MBP for a while, we got used to the fast startup, quick response, and quiet operation of the drive. So much so that the spinning whirl and the lag time of the 17″ MBP’s internal drive was annoyingly distracting. We decided it was something we needed to correct immediately. A year ago, a 128GB SSD drive was in the $450 range. Today, that price has dropped dramatically. The same drive can be found for a third of the price . We like imation because the kit comes complete with an external case which houses the replaced drive, giving us an additional external backup drive. The drive upgrade is not a difficult DIY project, it just requires a steady hand and a bit of patience. 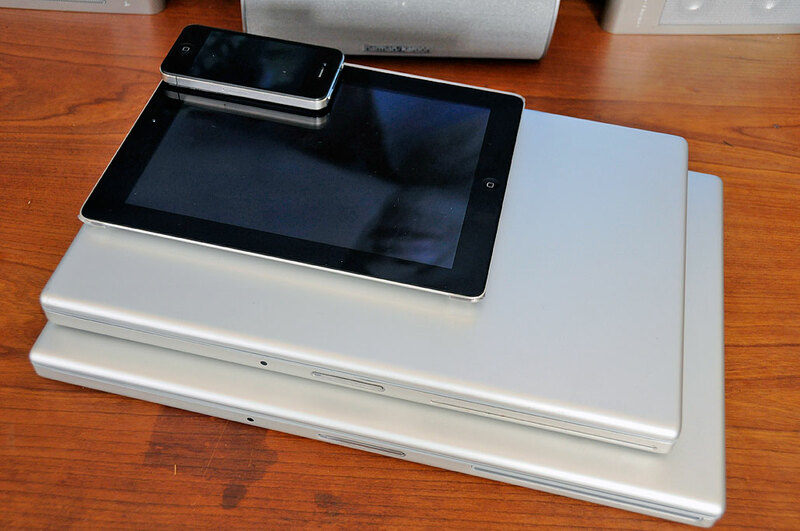 Opening the 17″ MPB case was very similar to that of the 15″ MBP. There are a few more screws due to the larger case, but nothing extraordinary. The rule of thumb with opening these tightly packed machines is: DO NOT force anything. If you can’t get the case to come apart, you have missed a screw (there are 23 of them) somewhere…look again. Once the case has been opened, it was a simple matter of removing the old drive, connecting the new one, screwing everything back together.